The other day I gave a ride to Pedro, the guy who sells hammocks on the beach all year long. We don’t ever do much more than talk while he passes by selling or I give him a lift when he hitches the beach road. We talk about the weather, about life. Not anything too deep but I enjoy our conversations. This particular day was hot and sunny, the first sunny day after almost a week of rain: low season at its lowest. I asked him how he was doing and offered him some water I had in the car. He looked hot and accepted, saying thanks. He had been carrying at least a half dozen hammocks of various colors, sizes and quality. He always offered to show me one, always wanted to know if I needed one. They were always beautiful, multicolored tropical tapestries. 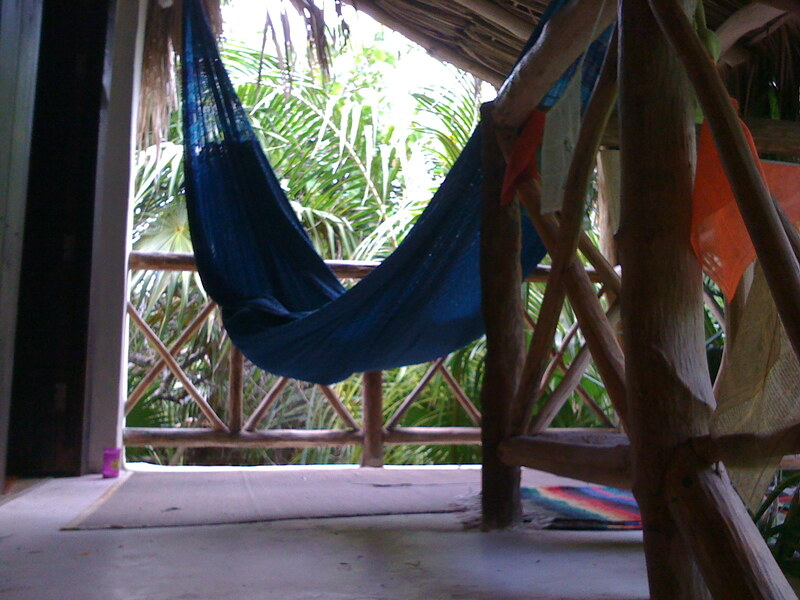 But seriously, how many hammocks can you buy? Too, I won’t pay the tourist prices anymore and take the wonderful trip to Valladoloid to get my own. Regardless, I had purchased enough to know that they were heavy. He looked at me with sweat on his brow and started to tell me how poor sales were, how hot it was and how he barely could make ends meet for his family in the Yucatan who were making the hammocks. I cringed inwardly to hear it because first, it was depressing, second I was broke so couldn’t help him and third because I automatically start to feel guilty that I have more than he does. “It is difficult”, I said. He said, “But not too much so”. I smiled at that, and then we both laughed. That one positive statement changed everything. We started to discuss how beautiful it was in Tulum. How there were still, in the middle of the low season, so many great people from all over the world here and how generous they were. Before he left at the next hotel with cars in front signifying guests, we had him selling all the hammocks that day. I bet he did, or at least half of them. And he did it because he could see the positive nature in things. He understood deeply that we are blessed if we can get up everyday and just step off the bed onto our two feet, two legs and see. We are so privileged to have a life where we mostly have enough to eat and people who care about us. And if we can put a positive spin on things, people will laugh with us instead of avoiding us. It is a challenge we all face, no matter what our circumstances are. It is that cliché, is the glass half empty or half full. It is your perspective and how you choose to see things. So the next time you feel a little low, if the car doesn’t start or you didn’t get that raise, or you couldn’t get into whatever posture you think is so important that it will change your life, think of Pedro. Take a positive attitude and let that change your life. Sometimes it may be difficult, but, like Pedro says, never too much so.